STOP IN TO VOTE FOR YOUR FAVORITES! 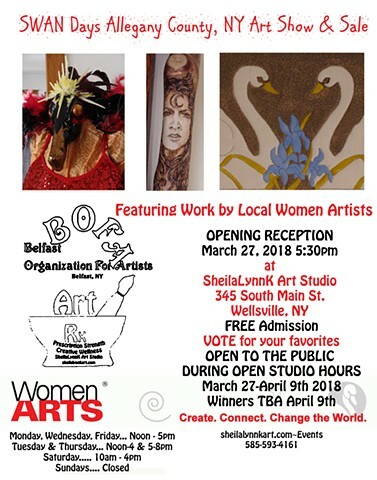 at SheilaLynnK Art Studio in Wellsville, NY. The exhibit is FREE and open to the public during open studio hours. sign in at the door to receive ONE ballot. received for each award category.